Mario Balotelli is set to meet Liverpool manager Jurgen Klopp for the first time with the striker expected to report for pre-season training at Melwood on Saturday. The 25-year-old, who spent last season on loan at AC Milan, will link up with the squad as they begin preparations for the 2016-17 campaign. In April, the forward admitted he “wasn’t happy” at the club and “did not want to return”. However, with the Serie A outfit rejecting the option of signing him permanently and no concrete offers on the table, Balotelli was left with no alternative. He has yet to hold talks over his future, but the Reds will look to work out a solution which suits all parties. Balotelli is surplus to requirements at Anfield, with Klopp happy with his attacking options. Daniel Sturridge, Divock Origi, Danny Ings and Roberto Firmino can all lead the line for the Reds, with new signing Sadio Mane also able to operate upfront. 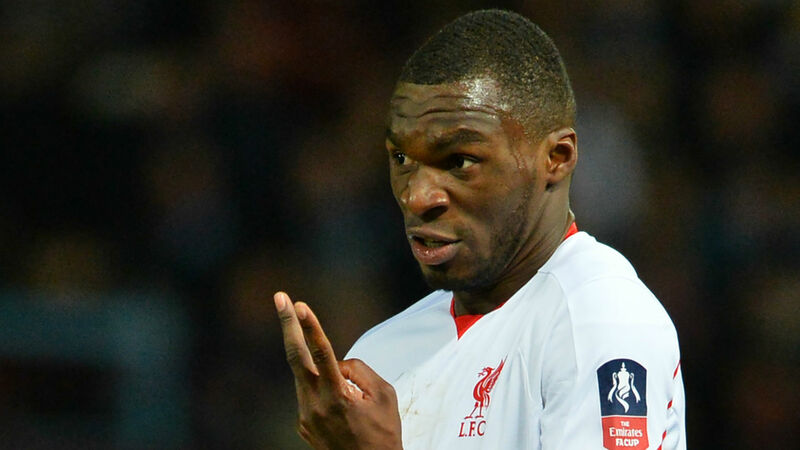 The club will listen to offers for £30 million-valued Christian Benteke. Crystal Palace have shown an interest in the Belgian, but have yet to formalise it. He is also on West Ham’s list of targets and will not be short of suitors in the window. Benteke netted 10 goals in his debut season on Merseyside, despite being a stylistic mismatch. Liverpool are hoping Balotelli, whose style of play does not suit Klopp’s philosopy, is offered a similar exit route. It is understood that Italy could once again provide the most viable solution, while there have been advances from China for the former Manchester City striker. Balotelli’s agent, Mino Raiola, told Goal that the attacker’s “option now is Liverpool, and that is a great option,” but the three-time Serie A winner would not command a place in Klopp’s first XI. Meanwhile, Lazar Markovic will attempt to prove he can be a part of the 49-year-old’s blueprint as he also returns to Melwood. The 22-year-old spent last season on loan at Fenerbahce following a lacklustre first campaign at Liverpool, but has the opportunity to prove himself to the backroom team. New acquisitions Mane, Joel Matip, Loris Karius and Marko Grujic will also report for training as Klopp puts the squad through a gruelling schedule. The Reds will be without players who were on international tournament duty, but the likes of Firmino, Ings, Mamadou Sakho and Dejan Lovren are expected to take part in the opening sessions. Andreas Kornmayer, recruited from Bayern, will begin his duties as Liverpool’s head of fitness and conditioning. Leading dietician Mona Nemmer, also obtained from the Bavarian giants, starts up with the Merseysiders as well. Liverpool will play nine friendlies before kicking off the new campaign away to Arsenal. The pre-season workouts begin at Tranmere, before further domestic encounters at Fleetwood, Wigan and Huddersfield. The Reds then head to California, where they tackle Chelsea at the Rose Bowl in Pasadena and Milan in Santa Clara as part of their International Champions Cup commitments. A match with Roma in St. Louis at the start of August closes off the club’s stay in the United States, before they line up against Barcelona at Wembley in their final ICC clash. Liverpool’s last pre-season fixture is at Mainz, where Klopp spent 11 years as a player – his entire professional career – before being offered his first managerial opportunity in 2001. Previous Previous post: Balotelli: Buffon could play for two more Euros!